People - The Portfolio Group, Inc.
Betty Nickel has 26 years of experience in Residential Projects in Colorado and Chicago's North Shore. Betty brings to Portfolio the designer's approach to Architecture as Lifestyle, and stays abreast of the latest trends in Residential Design and finish products. Betty did her graduate work at the University of Illinois Graduate School of Architecture, and undergraduate work at Northwestern University. 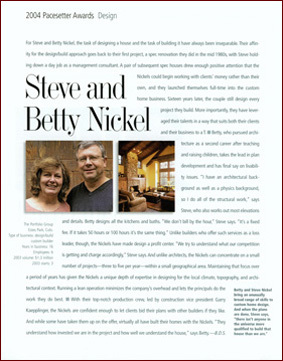 Steve Nickel has 24 years of experience in Architecture and Custom Home building, and 11 years experience in strategic planning and consulting. Steve is thoroughly involved in the design of all of Portfolio's projects, and he has overall project management and financial responsibility to Portfolio's clients. Steve's undergraduate work was at the Boston Architectural Center, and Graduate work at the Graduate School of Business, Babson College, Wellesley, Massachusetts. Carpentry Subcontractors. 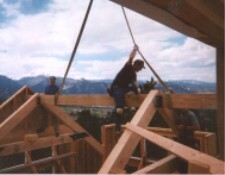 Important elements of Portfolio's ability to execute a custom home "as designed" are its strong relationships and "semi-exclusive" use of 1-2 carpentry subcontractors. At least one of these craftsmen is a former employee of The Portfolio Group. Other Subcontractors. Like all custom home builders, Portfolio maintains a relationship with a number of subcontractors. 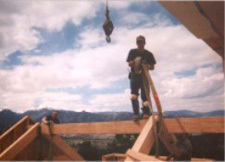 We seek out the most professional and experienced subcontractors available in the Estes Valley and Colorado Front Range..